The Hollywood Reporter has brought word that the Coming to America sequel release date has been set by Paramount Pictures. 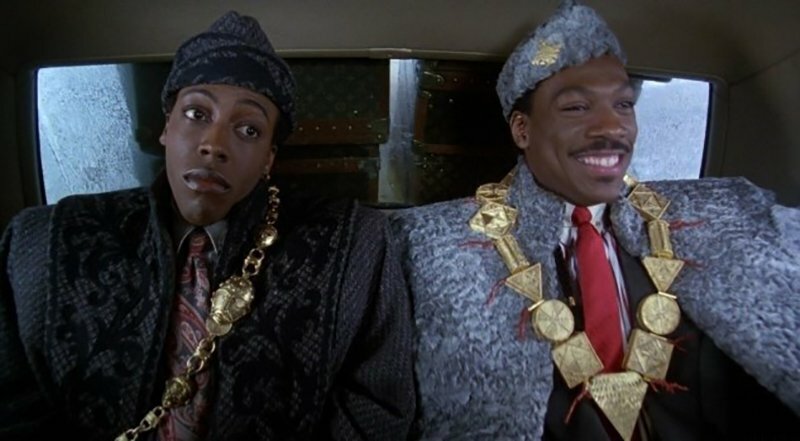 The follow-up to the acclaimed 1988 Eddie Murphy comedy has landed an August 7, 2020 release date. The film, originally set to be directed by Warm Bodies‘ Jonathan Levine who has since departed the project, will be directed by Craig Brewer. Brewer, who previously worked with Paramount Pictures on Hustle & Flow, Blake Snake Moan and the 2011 Footloose remake, will take the reins for the long-awaited sequel, which is penned by black-ish creator Kenya Barris. The original film was directed by John Landis, and starred Murphy as a wealthy African prince who comes to Queens, New York posing as a poor man to search for a bride. The film co-starred Arsenio Hall, James Earl Jones, Shari Headley, John Amos, Eriq La Salle and Louie Anderson. Murphy has kept a low profile over the last five years, only starring in one film, the dramatic 2016 dud Mr. Church. He’s been attached to several non-starter projects, including Beverly Hills Cop IV, a Twins sequel titled Triplets, and a Richard Pryor biopic from Lee Daniels. The upcoming sequel will mark the second collaboration between Brewer and Murphy, who filmed the upcoming biographical comedy Dolemite is My Name last year which is expected to hit Netflix sometime this year. RELATED: Keegan-Michael Key to Star in Dolemite Is My Name! Barris created the Emmy-nominated series black-ish and co-wrote the comedy Girls Trip, which hit $114 million at the box office. He’s also worked on the Son of Shaft script. The sequel will hit theaters on August 7, 2020.